Last Bell malayalam movie to be directed by debutante Suneesh Babu featuring Kavya Madhavan in lead would start rolling from January 2015. The movie zooms into the issue of closing of a school due to the dwindling number of students. Kavya plays the character role of a teacher who has to go through some emotional situations. Being an offbeat movie, 'Last Bell' would not have a commercial release. Even though, films are normally considered to be made as a medium to entertain the audience, there are many filmmakers who stand different among the crowd for their commitment to the society. Other than commercializing films, novel thoughts delivered by inventive directors have won the hearts of millions for bringing forth an issue and presenting it properly. Suneesh Babu who has much experience standing behind the camera is gearing up to helm his debutant project featuring actress Kavya Madhavan in lead. The movie tentatively titled as 'Last Bell' is an offbeat movie which would not have a commercial release. The movie pools into the issue of closing of a school due to the dwindling number of students. Kavya plays the character role of a teacher who has to go through some emotional situations. Being a malayalam medium government school, the number of children keeps dropping with just one child left in it. As a dedicated educator, she continues to come on time and rings the bell at proper intervals. Finally as the last child too leaves the school, the teacher remains all alone in the building. It also zooms into the pathetic life of an individual who has to face crisis in her existence too. 'Last Bell would start rolling from January next year. As Kavya Madhavan has been extremely selective in choosing her films, she didn't take up any projects after playing a role in Amal Neerad's 'Anju Sundarikal'. As Kavya is focusing more on quality rather than quantity, the subject of 'Last Bell' was tending to be relevant and the treatment poignant, Kavya made her interest to take up the role. She was apparently waiting for something different which landed her in Suneesh Babu's venture. It is also reported that Kavya would also b working with yet another project very soon. 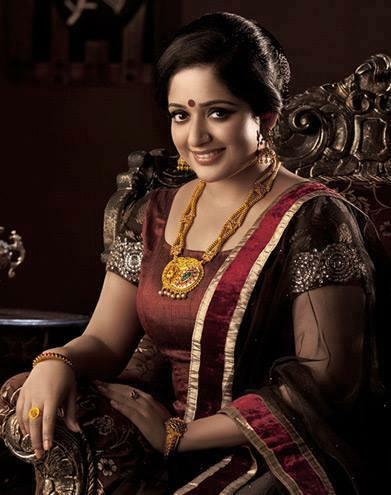 So after a long period, moviegoers would be getting yet another opportunity to see the performance of Kavya Madhavan, the most celebrated actress in the malayalam film industry.